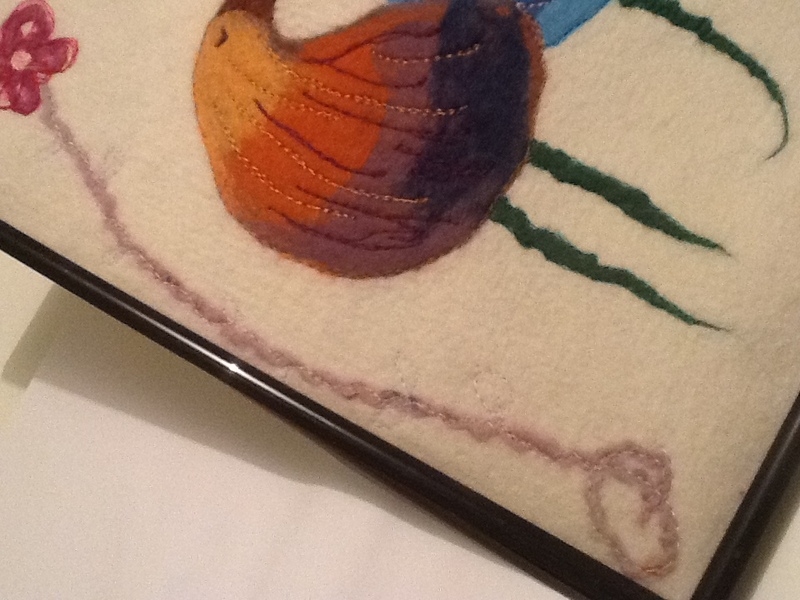 The great thing about keeping a visual diary is that when you feel like felting, but also feel creatively “dry”, you can just grab something you’ve already done then tune out and enjoy the felting process. 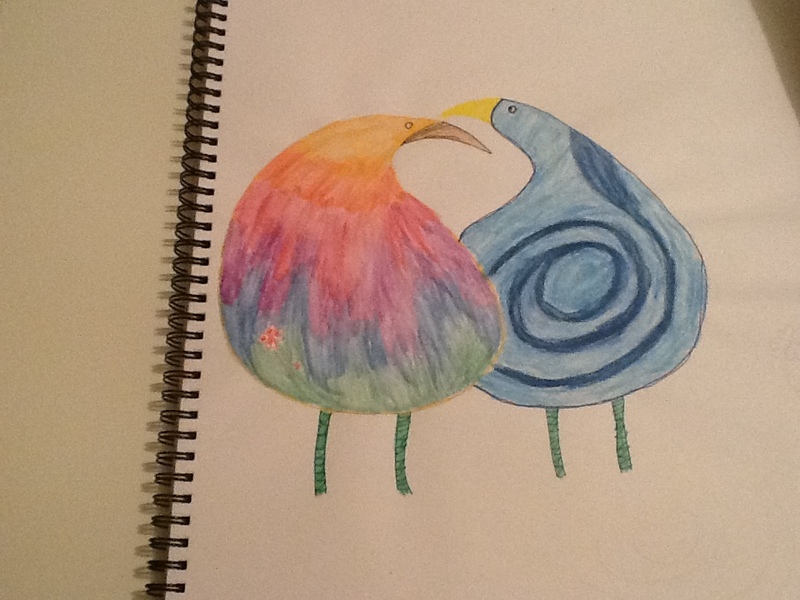 I sketched these two birds in my diary a while ago. 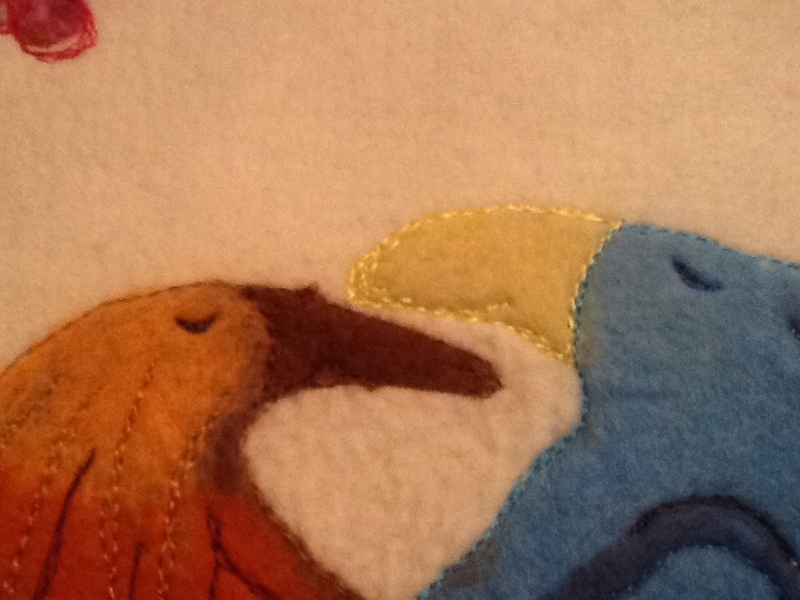 When I lay out the felt the design inevitably changed. 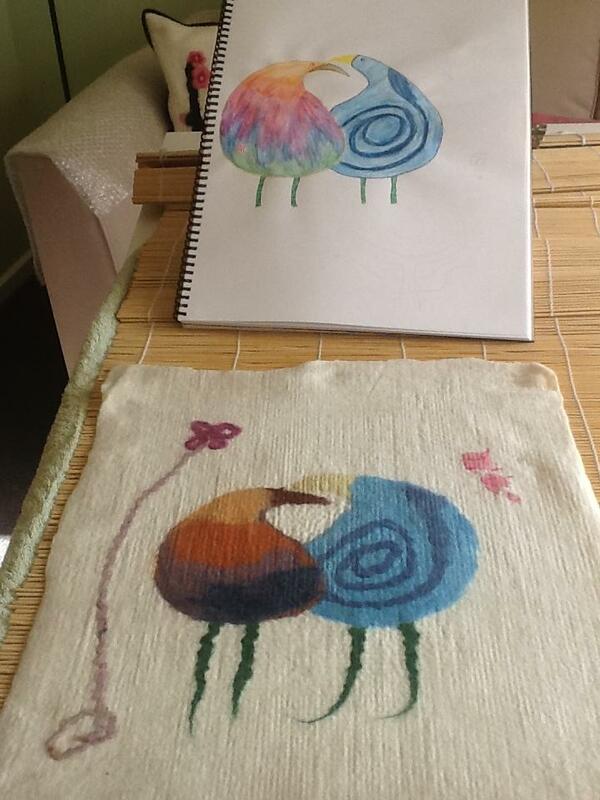 Next I got out my embroidery thread and dropped the feed dogs on my sewing machine – time for machine embroidery. 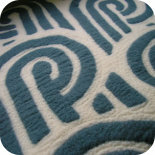 I tried to add a bit of definition and detail that I couldn’t capture when laying out the fleece. Lastly, I framed the piece in a photo frame with the glass removed. 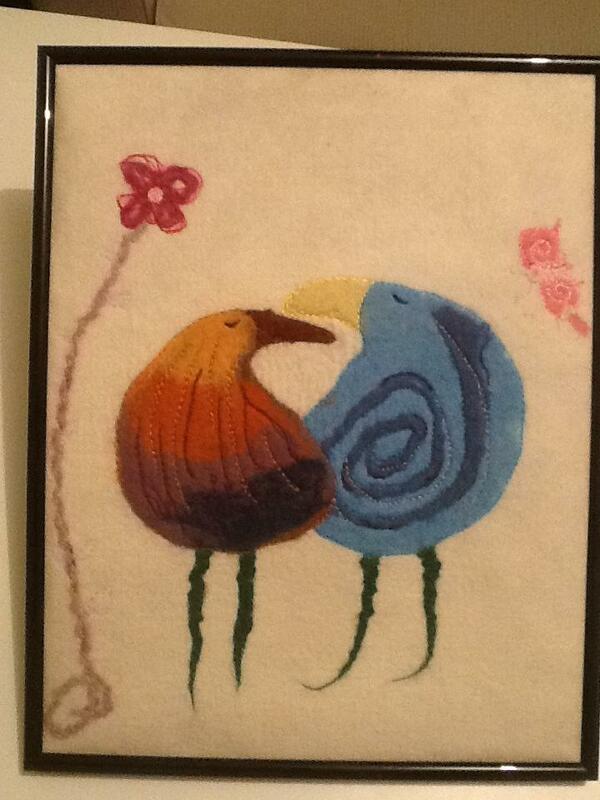 This entry was posted on 29/10/2013 by flicstar in Wall Art and tagged felt, machine embroidery, visual diary.